One size does not fit all – especially when it comes to cancer treatment. We are each unique – with our own biological and genetic characteristics. Advances in genomic technology have led to the discovery that each type of cancer is also unique, with its own molecular characteristics. 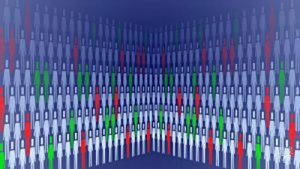 Researchers in the Mayo Clinic Center for Individualized Medicine are using new genomic technologies to find key differences among patients that can help identify more targeted treatments for their particular tumor, helping them live longer, healthier lives. At the 2016 Individualizing Medicine Conference, Alan Bryce, M.D., assistant professor of Hematology and Oncology, and medical director of the Genomic Oncology Clinic at the Mayo Clinic campus in Arizona, shared key lessons from using these new DNA sequencing technologies in their oncology practice. “Because cancer is a genetic based disease, in theory we should be able to have patients undergo genetic testing, analyze their genome and then identify targets for therapy. However, in practice, it is much more difficult because the genetic test results are difficult to interpret. We have brought together a multidisciplinary team to facilitate the interpretation process so that we can transform genomic test results into better therapies for patients,” says Dr. Bryce. 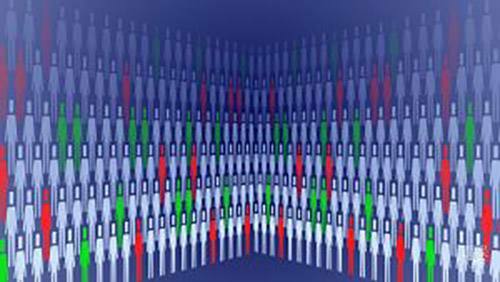 The Genomic Tumor Board brings together clinicians and scientists from multiple medical specialties at Mayo Clinic’s Arizona campus to evaluate all genomic, biological and clinical data for cancer patients who have not responded to standard treatment. The board’s recommendations are not limited to genomic-based treatments; they examine the potential benefit of all available therapies. The board includes clinicians from oncology, hematology, surgery, pathology and geneticists along with laboratory scientists, bioinformatics experts and ethicists. Each participant brings his or her expertise to the evaluation of each patient referred to the board. Lesson #1: Genomic profiling can have an impact on patient care. “Through our experience, we have found that while genomic-based therapy is still only effective for a limited number of cancer patients, it can lead to significant improvements for a patient’s survival and quality of life,” explains Dr. Bryce. For example, in 2013, the board reviewed the case of a patient with cancer of the urethra, the tube that brings urine from the bladder to the outside of the body. The patient was initially treated with the standard chemotherapy for bladder cancer. However, the treatment only provided limited improvement and caused many common side effects such as fatigue, weakness, weight loss and nausea. Next, the patient was given a therapy commonly used to treat colon cancer. While the patient did improve for a period of time, he still experienced serious side effects. 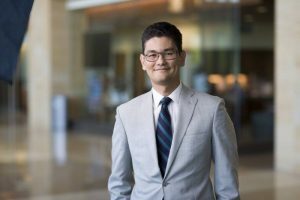 “Through genetic testing, we were able to identify a genetic variant that we believed could be driving the patient’s tumor. Beginning in 2015, the patient began a new targeted therapy, a treatment that we would not have considered in 2013 when he was first seen. The treatment successfully reduced his tumor with very few side effects. He is still benefiting from this therapy which would not have been prescribed without the use of genomic testing,” says Dr. Bryce. Lesson #2: The goal of genomic testing is to identify potential treatments. “We’re not obtaining the genetic profile to satisfy our curiosity. In fact, we are using genetic profiling to provide better treatment and care for patients. A key component of this care is ensuring that patients have access to targeted therapies,” explains Dr. Bryce. Dr. Bryce emphasizes that there has been a shift in the way insurance companies and regulatory agencies view genomic-based treatments. Lesson #3: Focus on the pathways that lead to the development of a cancer. By looking beyond the genetic variants that are identified in genetic testing, clinicians and scientists on the Genomic Tumor Board have been able to identify potential biological pathways that lead to cancer. Once identified, these pathways help physicians select treatments that have the best chance of blocking these pathways and stopping or reducing tumor growth. Lesson #4: Results need to be shared to improve cancer care. Dr. Bryce concluded that while genomic data analysis and interpretation are time consuming, sharing information about how this data has been used to improve patient care is essential. “We need to share the discoveries we have made in cases where patients have responded to therapies no one would have otherwise guessed would work. By sharing this knowledge, we can help patients elsewhere and further our understanding of disease,” says Dr. Bryce.